Research data management (RDM) is a way for you as a researcher to manage your data during the lifetime of a research project and beyond. Why? sticks (requirements) and carrots (benefits)! Research funding comes from public money. Funders want researchers to provide evidence that the Funders are getting good value for money, this is often through their open access requirements. In recent years funders have developed policies for the management and sharing of research data which must be complied with as part of the terms and condition of application and award. Commercial collaborators may have different practices with which you will need to comply. Universities have obligations to their researchers and the research funders. 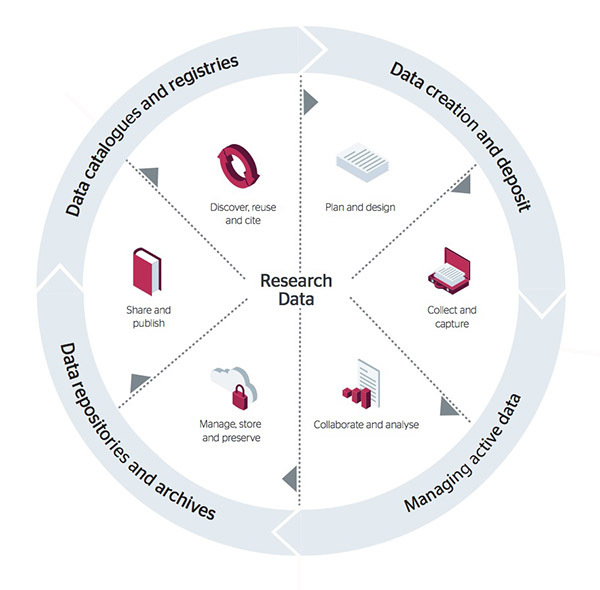 The Edinburgh Napier University Research Data Policy must be adhered to by researchers for all research activity which generates data whether externally funded or not. Research data and records are shown to be accurate, complete, authentic and reliable. Others can use your data-sets to validate your findings. Responsible use of public resources to fund research is demonstrated. You are supporting the responsible communication of research results. When do I need to consider Research Data Management?